We have decided to continue our subcontinent vs the rest of world XI series. In today’s article, we have decided to do a Test team. Zac will do the Subcontinent XI again, and I (Barry), will do the Rest of World XI. It will be a six-Test series with three games on the Subcontinent (India, Sri Lanka and Bangladesh) and three games over the Rest of the World (Australia, England and South Africa). Comment on who you think will win the series and who the best player would be. Selecting a Test XI for the subcontinent was harder than selecting a limited overs side, seeing as Pakistan’s pace bowlers are mostly limited overs specialists or just significantly better in limited overs internationals. I still think I have made a quality side, even if the player pool was much smaller. There is a heavy Indian representation, mainly because all of the other nations are mediocre in comparison to the might of India. It pains me that I couldn’t find a spot for Shakib Al Hasan, since he is one of my favourite players, but the batting talent is so strong on the subcontinent that I felt we could go with the better bowler. Tamim Iqbal – Bangladesh’s leading batsman in all formats, in my opinion – just edges out KL Rahul. Iqbal is a somewhat aggressive left-handed batsman with a very good average for a subcontinent player (38.69). Tamim has a high score of 206, but with only eight hundreds to his 25 fifties, his conversion rate is almost as bad as Joe Root’s. Azhar Ali is the best opener on the subcontinent by a country mile. He compliments Tamim well, being right handed and scoring a fair bit slower with a tighter defence. He is absolutely glorious to watch when he gets in and is very hard to get out, so other batsmen can bat the way they want around him. With an average of 46.63 and a whopping high score of 302 with multiple double hundreds, he has got a conversion rate of around 50. But when he passes 100, he just keeps going. He can also contribute with some part-time leggies. Solid as a rock, Cheteshwar Pujara has a tight defence and owns the tricky No. 3 spot, where you could lose a wicket in the first few balls and practically become an opener, or both the openers could have made heaps of runs and he could just come out and dig the opposition an even deeper trench. He averages 50.52 and has scored nearly 5000 runs in 57 matches. In my opinion, Pujara and Kane Williamson are the best No. 3s in the world right now. 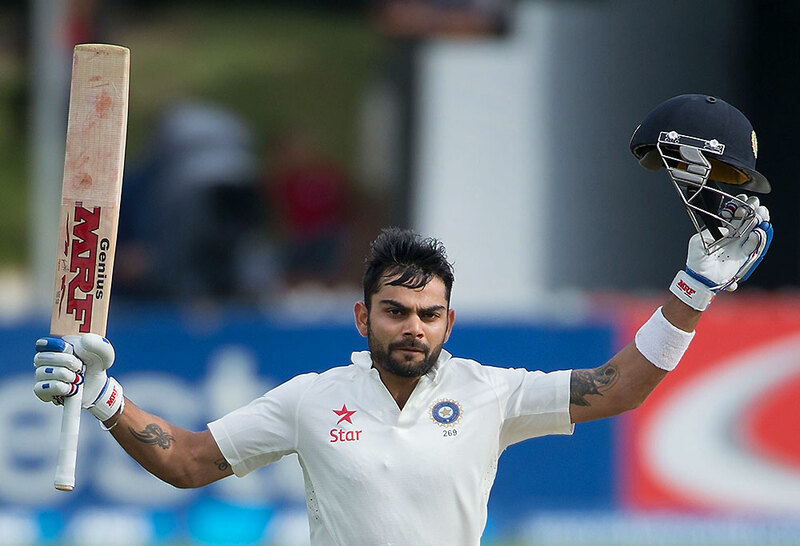 A legend in the making, Virat Kohli can tear up the world’s best bowling attack. The rightful heir to Sachin Tendulkar’s throne as India’s prime batsman, Virat Kohli’s numbers speak for themselves: an average of 53.40 on tough batting wickets, coupled with a high score of 243 and more centuries than half centuries (21 and 16 respectively). This shows he is a class player and when he gets that 50, he usually pushes on with it. Sri Lanka’s skipper has played pretty well over his career. Relatively young at 28, he compliments the more defensive players such as Pujara and Azhar. He has a very good strike rate of 73.83 meaning if you stray from your line, he punishes you. He averages 32.75 which is still very good on the terrible batting tracks in Sri Lanka. He slots beautifully into his favourite No. 5 position, he can also take the gloves if an extra bowler or batsman is needed. Ravindra Jadeja could be in this team for his bowling alone, but he is no hack with a bat either – with an average of 29.40 over his career. He also has eight fifties in 52 innings, which is just shows how underrated he is with the bat in hand. With the ball, he has an average of 23.74 and takes a wicket every ten overs. Especially lethal to right-handed batsmen, he has a deadly arm ball which is quite hard to pick. Unlike most spinners, Jadeja fires the ball in, making his arm ball harder to pick. Occasionally he tosses it up, ripping it past the blade if they come down the pitch. Jadeja also gives us left arm offies, which everyone knows is Smith’s weakness. In 38 Test matches, Sarfraz Ahmed has only made a single duck, that already shows consistency, and an average of 40.15 only backs that up. Sarfraz Ahmed has lifted Pakistan out of a dark hole, yet he has still got a long way to go. He is the only Pakistani keeper who can catch. He has a somewhat unorthodox batting style, with minimal movement from the front foot, and plenty with the back. He is a spectacular timer of the ball and his head is always in a great position. His strike rate of 72.35 shows that you don’t have to be a big hitter to score quickly. He has three hundreds and 14 fifties in 67 innings. A player like Mohammed Shami is rare in Indian cricket, in that he is a swing and seam specialist often hitting around 140kph. He is also an extremely good reverse swing bowler. Shami picked up amazing match figures of 9/118 on debut in Kolkata, bowling to players such as Chris Gayle, Marlon Samuels and Shivnarine Chanderpaul. He has an average of 28.91 and takes a wicket every eight overs. The mainstay of India’s bowling attack at the moment, Umesh Yadav is an out and out fast bowler. He doesn’t worry about going for runs, he has a good bouncer and attacks the stumps. He has an average of 35.91 which shows he can be expensive, but on the sluggish wickets and the spin-friendly subcontinent wickets, that is pretty good. He will be handy on the quick tracks in Australia and South Africa where you need real pace. Long touted as the next Wasim Akram, he has late swing and seam back into the right-handers, pinpoint accuracy and devastating spells with a conventionally swinging or reverse-swinging ball. He has 95 wickets in 30 matches with an average of 32.78, which is mainly because he takes wickets in clumps and because subcontinent pitches don’t support pace bowling. Perhaps the unluckiest bowler in history, Yasir Shah has not been backed up by his fielders over his career, yet still maintains a healthy average of 29.45 with a strike rate of 56.62. Just think of what that could be if the Pakistanis could hold their catches. He can produce Warne-like deliveries which is handy for removing set batsmen. KL Rahul’s career has been failure mixed with greatness. Unfortunately, we don’t see enough consistency in his batting for him to get a spot on this side. But hopefully, as his career goes on, we can see more consistency from him. When we play outside of the subcontinent, Mathews is almost guaranteed a spot in place of a spinner (most likely Shah, moving Jadeja to 8 and Ahmed to 7). A patient batting all-rounder, Mathews has an exceptional average of around 45 and bowls more than handy medium pace. Maybe an outside pick, de Silva has a bright career ahead of him, being only 26. A batting all-rounder from Hambantota, his right arm offies could come in handy if more bowling is needed and could come in for Chandimal. The second best wicketkeeper-batsman on the subcontinent, Niroshan Dickwella is an aggressive left-handed batsman and one of the safest keepers you will find. As he gets older we will only see him grow as a player to become hopefully the next Kumar Sangakkara. If the track is seaming you can’t leave Bhuvneshwar out of the side. Incredible accuracy as well as good swing and seam movement. Bhuvneshwar didn’t make the cut because on the subcontinent I feel you need one or two exceptional spinners and some extreme pace to get any sort of life with the ball. After cleaning up the Aussies on debut with some absolute rippers, Kuldeep Yadav has had limited opportunities in the Indian set up, but he has been picked over Ravichandran Ashwin because he can take wickets on almost any pitch, whereas Ashwin really only takes them on the shockers on the subcontinent. He uses his variations nicely and will be a good performer for India later down the track. I had great pleasure in selecting a Test team for the Rest of World XI. I am a die hard for Tests, so I will tend to lean towards slightly slower scoring batsmen and lightning quicks. But the team I have selected has not been selected on just their current form, but also their incredible careers. My biggest problem was culling the quicks. There were so many great options that four or five didn’t even get a mention. My team still shows a lean towards the ‘big three’, with no West Indian representation. Sixth most runs in Test cricket. Alastair is a legend of the game and he has shown he is consistent. He has scored five double centuries and is a solid performer. When he is in form, he can be a joy to watch. He has a high score of 294* and he is my vice-captain because of his experience and skill. He has played 154 Test matches and has over 12,000 Test runs at an average of 45.73. Cook, in my opinion, pretty much walks into any current Test team as an opener. Warner is known for his boundary hitting and his quick scoring. He opens with Cook because they are perfect together. Warner allows Cook to take his time and set up for a long inning. Warner averages 48 with the bat and has 21 Test hundreds to his name. 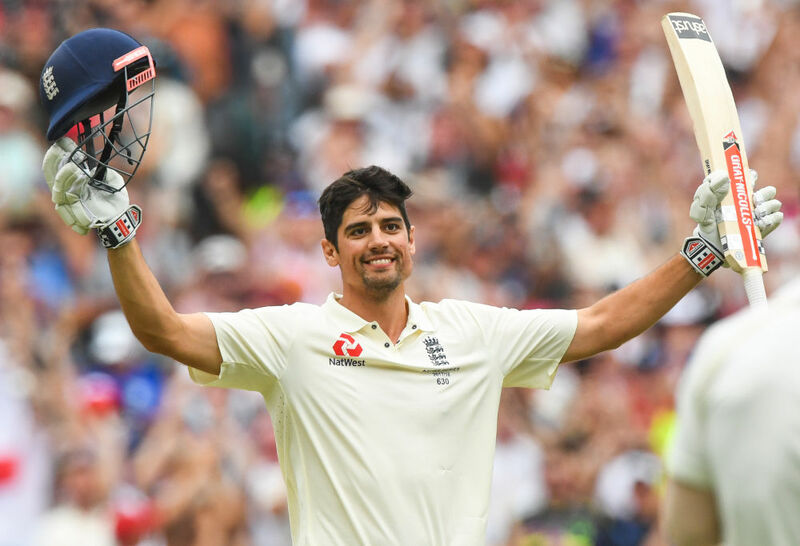 He is only the fifth Test batsman to score a century in the first session of a Test and he smashed a century off 69 balls against India at the WACA in 2012. He is a pocket rocket sure to thrill. Kane Williamson is a solid performer at number three. He has 16 hundreds and 23 fifties at number three with a solid average of 53. His career average of 50 is enough to show us he is consistent. Since 2013, he has averaged 41, 61, 90, 47, 62 and 41. Those are solid figures and he has that grit that makes a good number three. He can also send down some handy overs with the ball. Smith averages over 70 at No. 4, with ten of his 23 hundreds and ten of his 24 fifties coming at the same position. Smith is no stranger to No. 3 or 5, averaging over 60 in both positions. That allows for some flexibility in my middle order. Smith is also a handy leggie and is one of the best fielders in the world. His quirky technique and his iconic fidgets make him one of the most memorable batsmen ever. He averages well over 70 as the captain and that is why he gets the captaincy. Root has had a lot of experience moving about the order. He has done everything from opening to batting at No. 7. He has had the most success at No. 5 which is where I will slot him in. Root caps off the trio of captains, who have all in recent times been batting out of this world. Root has an average of 73 at No. 5, but he averages above 40 in all the positions he has batted bar No. 7. Joe has a solid average of 53 and has a good consistent technique. In the recent Ashes series, Root scored five fifties but no hundreds. This is not too bad as this shows us his consistency. Probably a bit unlucky to not get the ‘c’ next to his name. He is an outgoing type of player but he has the goods. Stokes is one of the finest all-rounders going around at the moment. He has a solid batting average and is able to bowl with venom and get wickets when the need is there. Stokes lays claim to 6 centuries and 13 fifties coming at an average of 35.17. He backs that up with the ball with an average of 34.14 and four five-wicket hauls. 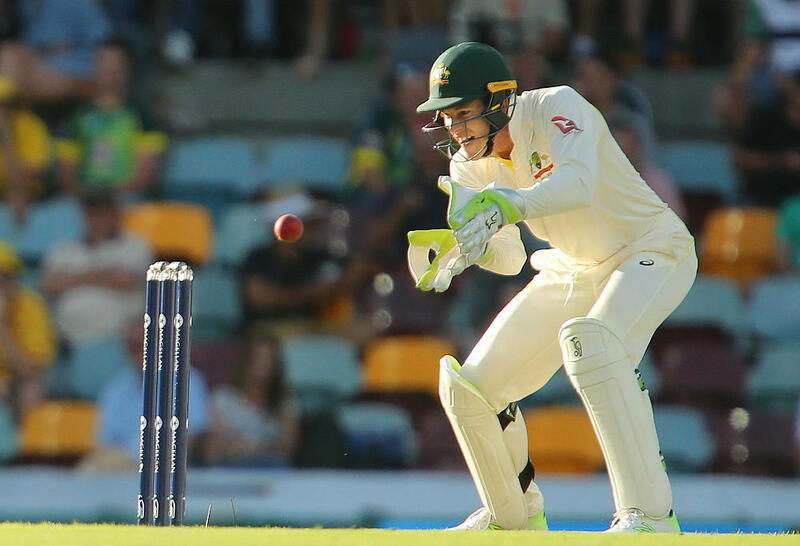 Tim Paine has been a rock since his return. He was a surprise selection for The Ashes, and I can remember him having a shocker on the first day, but then he never looked back. Paine averages 40 with the bat which, for a wicketkeeper, is superb. Paine always seems to be unfazed and has shown that he is a strong person after his long exile. He is yet to score a century, but that is most likely because he is always around at the end of an innings. 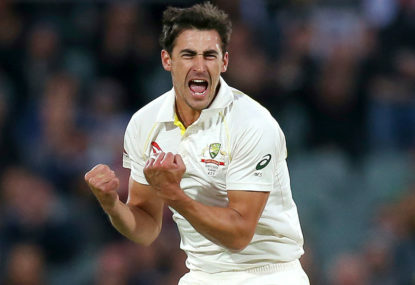 Starc is known for his infamous yorker and his venomous pace. When Starc is on point, he can bowl 150 km/hr for several spells, and be accurate. Sometimes his accuracy does wane and he goes for runs – but that is what makes him a good bowler. The batsmen lose their concentration and then Starc goes bang, with a beautiful yorker. Kagiso Rabada has played almost 60 fewer matches than Dale Steyn, yet he has just one fewer ten-wicket haul than him (four to Steyn’s five) and a better strike rate (39.13 to Steyn’s 41.43). Rabada is capable of swinging the old and new ball and is probably the spearhead of this attack, due to his better accuracy and a better strike rate. Rabada has nine five-fors, and an average of 21.55. Philander is an exceptional bowler pretty much anywhere there is swing or seam movement. He will be used well on the Rest of the World’s pitches, where he has proved time and time again how high class of a bowler he is. The only problem with Philander’s game is that his bowling style would just get smashed on the subcontinent pitches. He has a batting average of 24.91 with eight 50s. With the ball, he has 12 five-fors and two ten-wicket matches coming at an average of 22.05. Ever since his first ball in international cricket, when he had Kumar Sangakkara caught at first slip, Lyon has had a dream first couple of tours. But until an exceptional 2017, he had been scraping by – just doing enough. Now, he is Australia’s go-to bowler. He also has 12 five-fors and two ten-wicket hauls and takes a wicket every 10.3 overs – coming at an average of 32.22. And let us not forget the cult hero he became, with only himself to blame for ruining a genuine world record attempt to say “Nice Gary” at the MCG. Extremely unlucky to miss out on a spot in this side but I thought Cook was just ahead of him for the slow scoring opener position. A solid batsman who plays some of the best drives against pace bowling you will see, he can also send down some handy overs with his left arm offies. Also unlucky to miss out on a spot, due to the immense middle order batting talent from the Rest of the World. Du Plessis has been a bit up and down in form, but is a solid player who can play some of the finest shots you will ever see. After Ali’s horror show in Australia and NZ, he has come back as one of the better spinning all-rounders. He has a Test century to his name and is fresh off a record 278 in the shield. His bowling is good enough to hold up an end and he can field like a freak. One of the more consistent keepers in recent times, Bairstow has scored many runs and has been a regular fixture in the English team. Paine edges him out purely because of his determination to stick around. 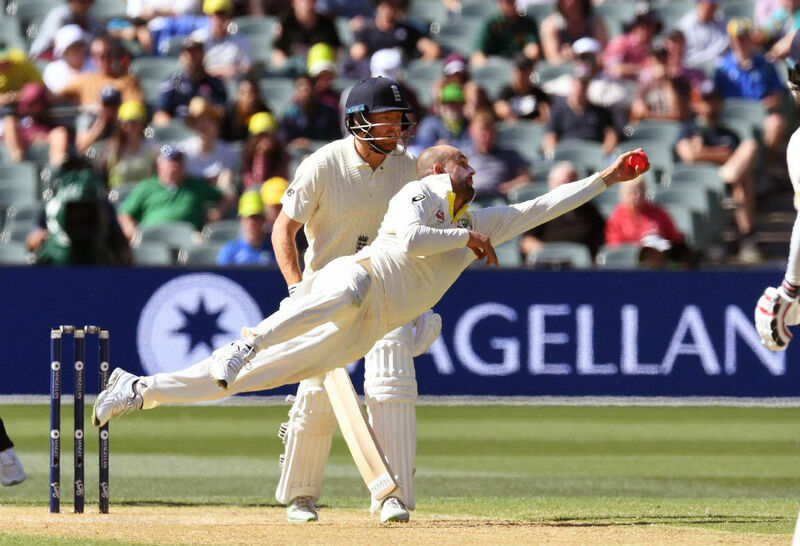 Cummins has been in good form as of his return, heading up the Aussie pace attack. He just misses due to his lack of experience, but is a force to be reckoned with after his amazing series in South Africa and the Ashes. He can contribute with the bat and has a safe set of hands. Maharaj is a pretty good bowler overall. He has been a really good performer for South Africa over the past couple of years and will be very handy when it comes to the subcontinent games. On top of this, he is a more than handy batsman. He doesn’t get a place in this side because his bowling is clearly inferior to Lyon’s. Comment on who you think will win and who you would like in our teams. Also, tell us what XI you want to see.